From one of the greatest vintages of the 20th century, and from one of the greatest vineyards of Tokaj: Szarvas, the legendary „Cru Exceptionnel“, formerly owned by the Imperial Court of Austria. 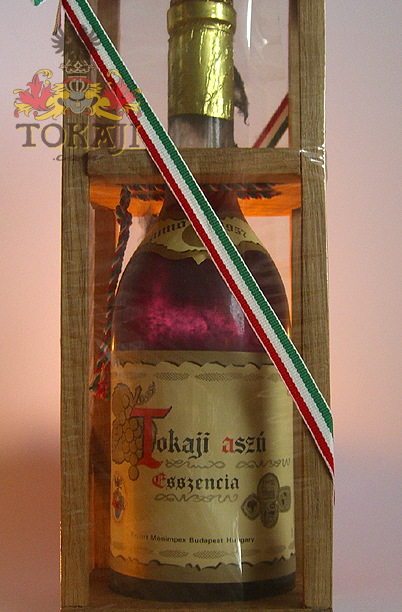 Szarvas near Tarcal is one of the two Great 1st growths in the Tokaj winegrowing region and has been the most important property of the Rákoczis, until it was confiscated in 1714 on behalf of the Hapsburg Emperor Joseph I. During the 1800s, Szarvas became identified with the expression „Imperial Tokay“. Between the World Wars Szarvas was cultivated under the direction of The Royal Family Vineyard Administration. After 1950, Szarvas was directly under the supervision of the Viti-Vinicultural Research Institute in Tarcal, for which reason it became prime source for the Aszú Eszencia wines of the communist era. This vineyard was not for sale during the privatization process after the 1989 change, and remained property of Crown Estates of Hungary, which was formerly the State Winery.